Sir Mick Jagger has paid tribute to his "lover and best friend" L'Wren Scott and admitted he is "struggling to understand" her apparent suicide. 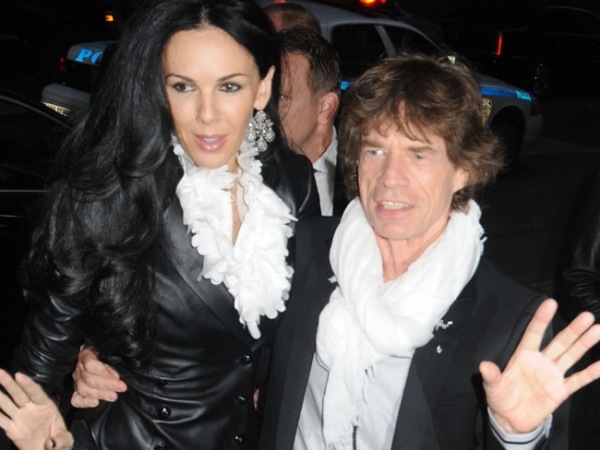 Sir Mick Jagger has paid tribute to his "lover and best friend" L'Wren Scott. The Rolling Stones frontman admitted he is "struggling to understand" the tragic news that the fashion designer - who he was in a relationship with for 13 years - took her own life on Monday, and recalled their "wonderful" time together. In a statement on his website entitled 'L'Wren', he wrote: "I am still struggling to understand how my lover and best friend could end her life in this tragic way. The 70-year-old rocker - who has seven children with four women - went on to say he felt "touched" by the tributes which have poured in for the 49-year-old stylist and pledged to "never forget" her. He finished: "I have been touched by the tributes that people have paid to her, and also the personal messages of support that I have received. "I will never forget her, Mick"
The Brown Sugar hitmaker was in Australia for the Rolling Stones' tour when the news was broken to him. The first gig in the country, which was due to take place tomorrow (19.03.14) in Perth, has been cancelled.